A birth injury is damage a newborn sustains during the birthing process, and can range from mild bruising and abrasions to broken bones, injured nerves and brain damage. 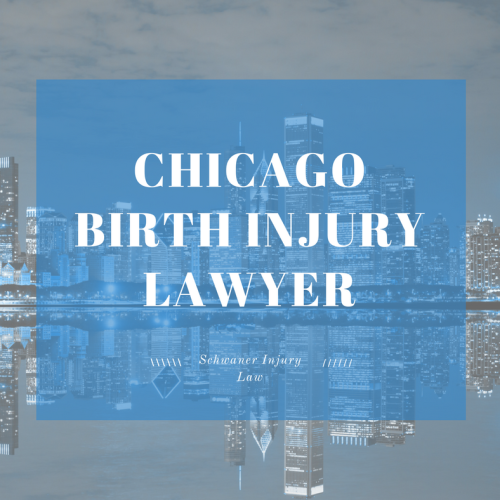 A birth injury lawyer in Chicago can help you get compensation for injuries and damages sustained by your child during birth. While many injuries will heal without treatment, others can lead to lifelong problems that will forever impact the quality of life for both you and your child. If your child suffered an injury during birth you can consult a birth injury attorney to help you navigate the complicated legal process. 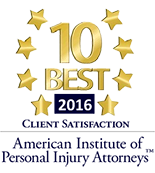 Can I recover Compensation For My Child’s Birth Injury? What to Do If Your Baby Experiences a Birth Injury in Chicago? Because the head is most often the first part to enter the birth canal, it is most vulnerable to injuries. If your child suffered injuries during birth in the Chicagoland area, you may be entitled to compensation under Illinois law. Intracranial hemorrhage. Caused by a ruptured blood vessel inside the skull – which could be due to pressure from the birth process itself or injuries related to assisted birth methods such as vacuum extraction or forceps – bleeding in the brain can result in infant brain damage injury if it is not recognized and treated, because it can cause pressure that cuts of oxygen to brain tissue, leading to loss of memory, movement and speech. Subarachnoid hemorrhages. Caused by bleeding beneath the membranes that cover the brain, babies with subarachnoid hemorrhages are prone to seizures, which can cause damage. Subdural hemorrhages. Caused by bleeding between the outer and inner layers of the brain covering, this type of hemorrhage can put pressure on the brain, causing seizures or brain damage triggered by toxic levels of bilirubin, a substance that forms when red blood cells break down in the blood. Bilirubin causes yellowing of the skin and eyes, and can be toxic at high levels. Intraventricular hemorrhages. These hemorrhages occur within the brain tissue itself and are often associated with traumatic brain injuries. Babies can experience brain injury during delivery if their head impacts the cervix or uterine walls to roughly, causing movement of the brain inside the skull similar to a concussion. For underdeveloped brains, the damage can be serious. Babies can receive too little or no oxygen during birth for a variety of reasons, including umbilical cord problems – the cord can become twisted around the baby’s neck during birth or can be knotted or flattened, cutting off oxygen entirely – or issues with the placenta that prevent blood flow and oxygen from reaching the baby. Oxygen loss can also be caused by fetal infections, abnormal fetal development and exposure to drugs before birth. Babies who do have low oxygen are likely to experience brain damage, since even small losses of oxygen can kill brain cells or cause damage to other organs. Occasionally, doctors will be forced to use forceps or a vacuum extraction device in order to remove the baby from the birth canal during a difficult birth. There are several risk factors associated with assisted birth injuries. Cuts and bruising. Both the use of forceps and vacuum extraction devices, which have a soft cup that is placed on the baby’s head to help speed delivery during a difficult birth, can cause cuts as well as bruising to the scalp or face. Bone fractures. Skull fractures are possible when forceps are used incorrectly, or during the use of vacuum extraction devises. Fractures can be minor and heal on their own, or can lead to long-term problems including paralysis caused by spine or spinal cord injuries or lifelong learning disabilities caused by brain injury. Cephalohematoma. This occurs when there is bleeding beneath the outer tissue covering the baby’s skull. Symptoms include bulging of the baby’s head, anemia due to blood loss, infection and jaundice. In most cases the blood will be reabsorbed within two to three months, but surgery may be required to relieve pressure. Subgaleal hematoma. This is characterized by bleeding beneath the scalp. Because this injury can cause significant loss of blood, it could be a life-threatening complication. Intracranial hemorrhage. Bleeding inside the skull can lead to loss of memory, speech and movement, requiring lifelong care. Jaundice. Vacuum extraction can lead to bruises, which occur when blood vessels are damaged and blood leaks into the brain. This is another instance when bilirubin levels in a newborn’s blood can be potentially deadly. About 33 percent of all births in the United States are cesarean sections, which are often chosen over vaginal birth to prevent birth injuries if the baby is too large or the mother’s birth canal is too small, among other things. C-sections can also be performed after labor begins naturally but either stalls or becomes a risk factor for either the mother or baby. Cuts and lacerations. While most cuts are superficial, some babies may require stitches or can suffer permanent disfigurement if a C-section is performed improperly. Potential injuries include the amputation of fingers or organ damage. Oxygen-related injuries. If a C-section is performed too late in the delivery, a baby can experience long-term loss of oxygen, resulting in developmental delays. Too, a child delivered prematurely via cesarean can have lungs that are not fully developed, which can potentially lead to brain damage due to loss of oxygen. Wrongful death. While rare, injuries that occur during an improperly performed cesarean section can lead to the wrongful death of a baby. Nerve injuries can occur in some births, including facial nerve injuries when forceps are used in an assisted delivery or brachial plexus birth injuries, which are caused when one or more of the five nerves of the brachial plexus – the grouping of nerves that run from the spinal cord to the arm, controlling arm, elbow, wrist, hand and finger movements. In rare cases, the spinal cord can be damaged due to overstretching during delivery, resulting in permanent paralysis. Yes, you may be entitled to compensation under Illinois law. The compensation can help take care of current and future medical costs obtained as a result of the birth injury malpractice. If you suspect that your baby’s injury was caused by negligence, and you are in the Chicago area, it’s important to hire an attorney with experience in birth injury cases to ensure that you’re fully compensated and will be able to cover the costs of your child’s injury, even if it requires lifelong care.